Are you building a catalogue to support IHC? We’ve used our data here at CiteAb to identify the most cited antibody targets for Immunohistochemistry (IHC) in the past, but today we’re going to look at the data a little differently and find the most important targets for IHC – those that are both commonly and normally used for IHC rather than for other applications. We caught up with CiteAb Founder Dr Andrew Chalmers to talk about this way of looking at our data. Andrew, what data was analysed to produce today’s findings? We have done something slightly different today – our team has looked at the top 500 most cited targets and has identified those with the highest percentage of citations for IHC use. This has allowed us to find highly cited targets which are normally used for IHC rather than for other applications. What is the value of looking at the data in this way? A supplier looking to develop a catalogue that supports IHC will want to ensure that they have these highly important targets available – this data has given a really good insight to the targets that are essential to researchers using this application. To miss any of them in an IHC catalogue would be detrimental. What does the data analysis tell us? We can see from today’s data that the top ten targets are all used for IHC in over two thirds of their citations. In many cases, any remaining citations are used for the very closely related technique of Immunocytochemistry (ICC), so its clear that these targets are essential in any catalogue looking to support IHC. Which targets are we seeing in the top ten? We can see a collagen, a homeobox transcription factor cut, and a glutamate transporter within the top ten. What sets this approach apart from the previous IHC dataset CiteAb produced for the most cited IHC targets? This approach to looking at data for IHC excludes proteins which, while commonly used for IHC, are also used for many other applications – general targets like GFP. These were the focus of our last IHC blog mentioned above. Segmenting the market and looking at targets with a high percentage of citations for IHC complements the approach of looking purely at the most IHC cited targets. The two approaches can be combined to ensure suppliers provide the right antibodies to support researchers with their IHC. Do the citations indicate who is using these antibodies? no Chinese universities appearing in the top 50 of research institutions. When you compare this to the overall antibody market where three Chinese universities make the top 20 global institutions, it can be seen that there are nuances within antibody markets that differ by regions. Which suppliers are currently at the forefront of IHC provision? 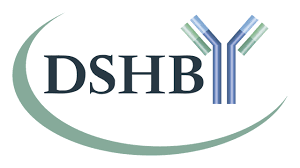 Again, interestingly the leading suppliers of these antibodies are also different to those leading in the total market, with DAKO and the Developmental Studies Hybridoma Bank at the forefront. Both organisations are offering comprehensive IHC catalogues, although I’m sure they’ll be keen to study today’s data to see whether they have any gaps. Today we are giving away the top ten protein targets with the highest percentage of their citations for IHC. Within the dataset, the percentage of citations for each product which is used for IHC and for Western blotting is shown. To claim your free data, sign up below and it will be sent direct to your inbox. If you’d like to discuss any other element of this data with our team, please contact Rhys in our product management team. – Rhys and the CiteAb team.